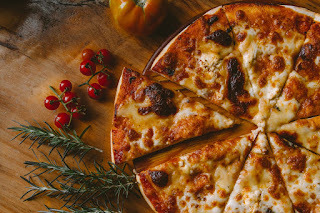 Arròs I Peix ~ ¡La comida español era muy delicioso! Words cannot justify my trip to Girona, Catalonia, Spain this past week; from the culture, to the beautiful sights, to the people, and of course, very importantly, the food! 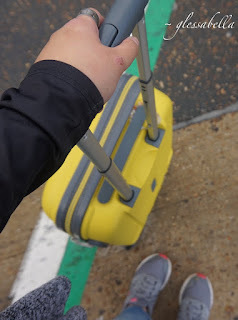 I came to Spain with a list of things I needed to see, do and eat, and it is by far the best thing to do before going on holiday. Without the several hours of research I did, I wouldn't have had some great authentic Catalan cuisine! One highlight has to be our family lunch at Arròs I Peix in Platja D'Aro. I felt ecstatic seeing the variations of raw seafood on a bed of ice next to the window since that could only mean one thing - extremely freshly cooked calamar (squid) y mejillones (mussels)! Usually, I'm not your typical seafood-lover, but ever since seeing so much fresh seafood being sold in local market stalls and grocery stores, it was a must to try everything! 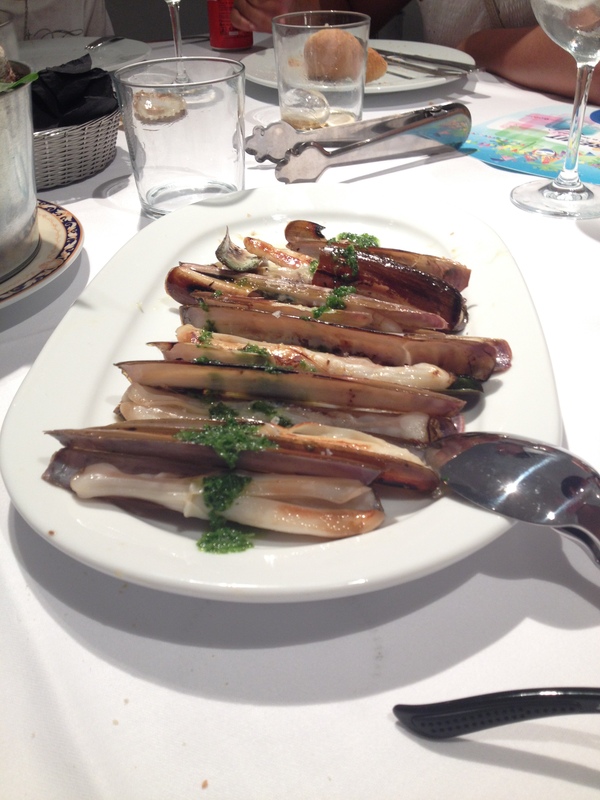 Although their existence confused me beforehand, I was able to try navalla gallecs, which is razor clams in Catalan. These long, knife-looking creatures were everything you expect them to taste; salty like the ocean, chewy but with a pleasant soft texture, and pretty straight forward to eat really. I'm not entirely sure if there's a way you should have them, but the butter, garlic and parsley drizzle was enough to tingle my tastebuds. 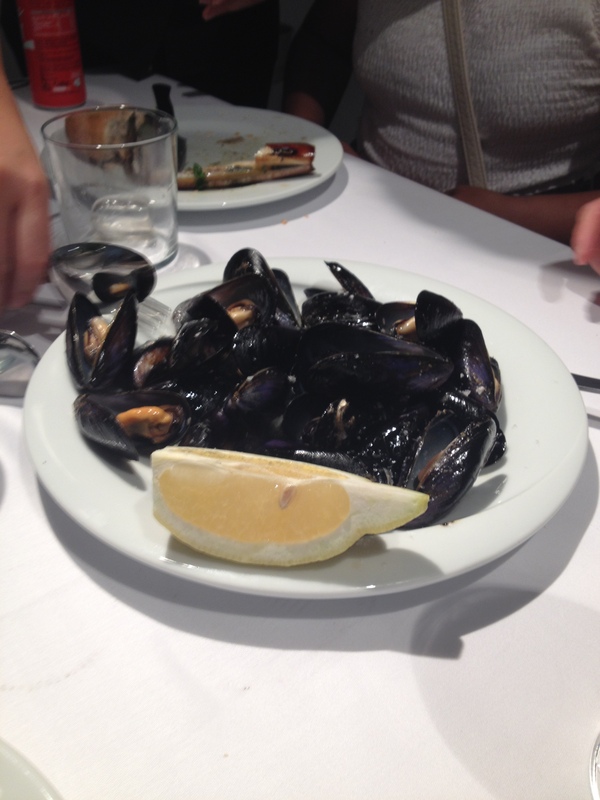 Of course, you need the delights of mussels when having the freshest of fresh seafood starters! I usually have mussels with a nice salty broth, so it was delightful to have them lightly cooked in butter and zinged with a squeeze of lemon juice. I went through a stage where mussels weren't really for me because I remember always thinking the sand was still inside, but I realised it's basically just a natural seasoning... adds to the taste of the beach and makes it even better! We also had some tasty calamari, coated in a salt and pepper crispy batter, which was muy delicioso! I'm a sucker for some crispy golden squid... unfortunately I ate them all before I could snap a quick pic - oops! 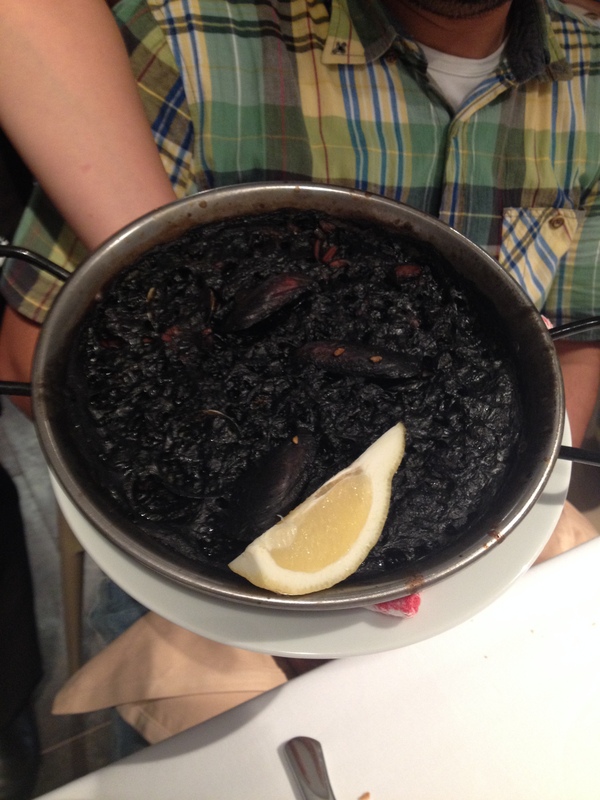 I'll be particularly honest here; when I heard they ate cuddlefish ink mixed with rice in Catalonia, I was a little sceptical of it. I remember telling myself I wouldn't eat it since the thought of eating ink weirded me out, but boy... boy was I wrong. Arròs negre (black rice) was by far one of the tastiest dishes I have ever eaten. Topped with so many flavours of the sea - squid, mussels, clams, cray fish - the rice dish was packed with juiciness and pleasantly pungent smells! The ink pretty much just tasted like squid and blended in well with all the seafood in the dish. I can barely describe it since it's a dish everyone needs to try in order to really understand the sensation... just remember to lick all the ink from your teeth before leaving the restaurant! Of course, when in Spain, eat as much paella as you can! Being the food loving family we are, we ordered both the paella de peixi marisc (mixed seafood paella), which is pictured at the very top of this post, and paella mar y mumtanya (mixed meat and seafood paella). The rice was perfectly cooked, not too soft but not too hard. The flavour that really stood out in these paellas was the squid; there was so much small slices of tentacles scattered in the dishes, which created the contrast between the soft texture of the rice and the chewy delights of the seafood, including shrimp, mussels and clams alongside the squid. The seafood was so nice that the chicken in mixed meat and seafood paella seemed quite irrelevant, not gonna lie. My only criticism with these paellas was they lacked the socarrat that I was awaiting! You can't have the authentic Spanish paella without the crispy, slightly burnt bottom! Unfortunately, although these paellas were incredibly tasty, I couldn't help but think back to the very first paella I had back in 2010 in Valencia, the birth city of paella Valenciana... ah, that socarrat... drool. I definitely recommend the restaurant if you ever come across the beauty of Platja D'aro in Catalonia, Spain. Only a 5 minute walk from the beach, it's deliciously cheap, even for a large family! Plus you can always enjoy a nice, cool cocktail beachside afterwards... I recommend that too!